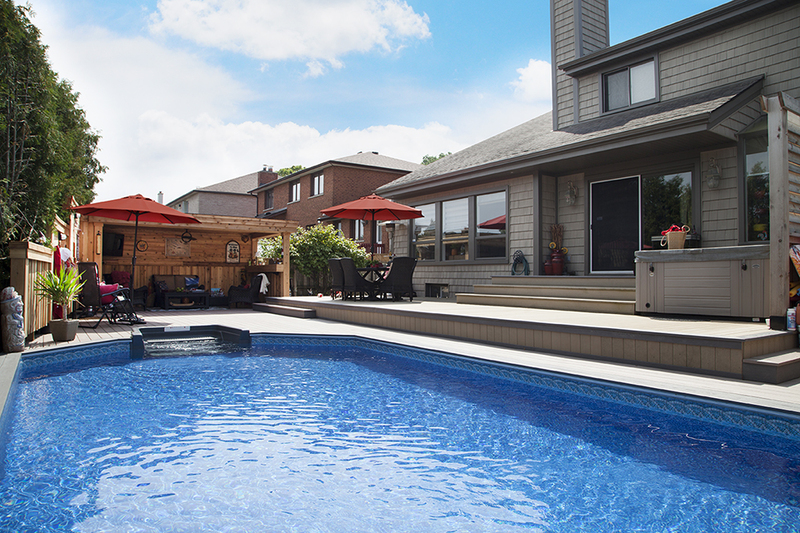 Welcome to the well-decorated, perfectly-designed, Martin backyard. 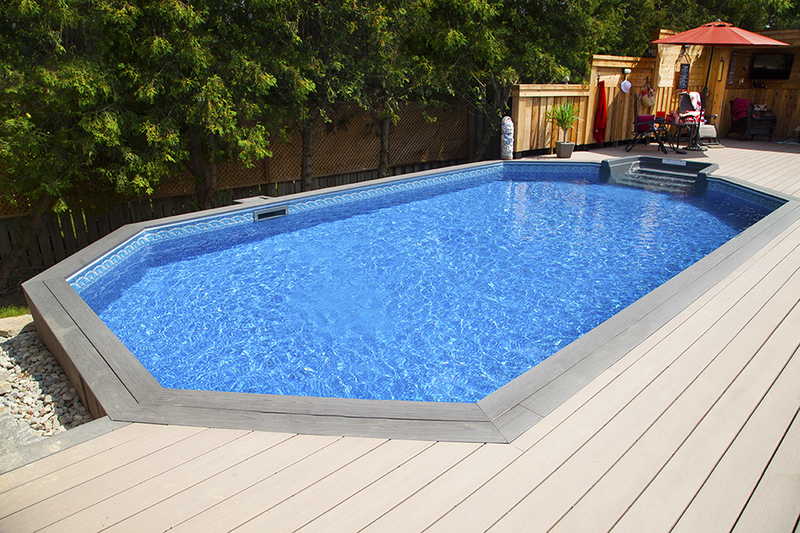 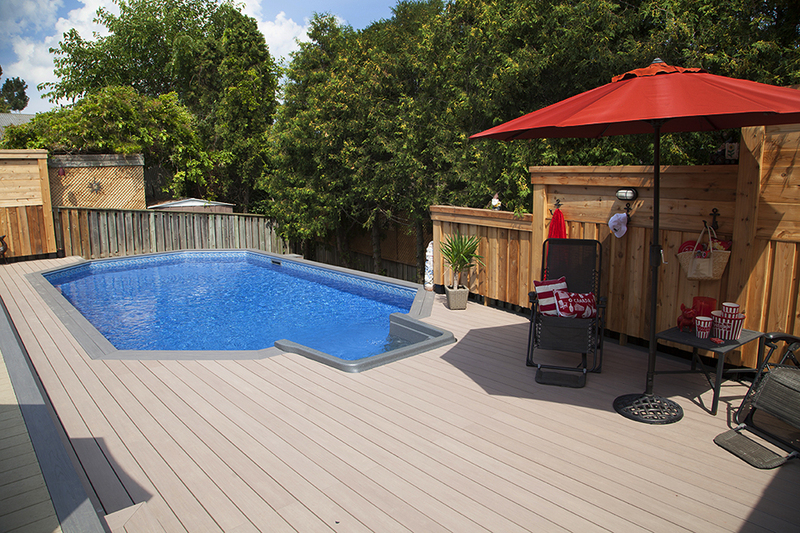 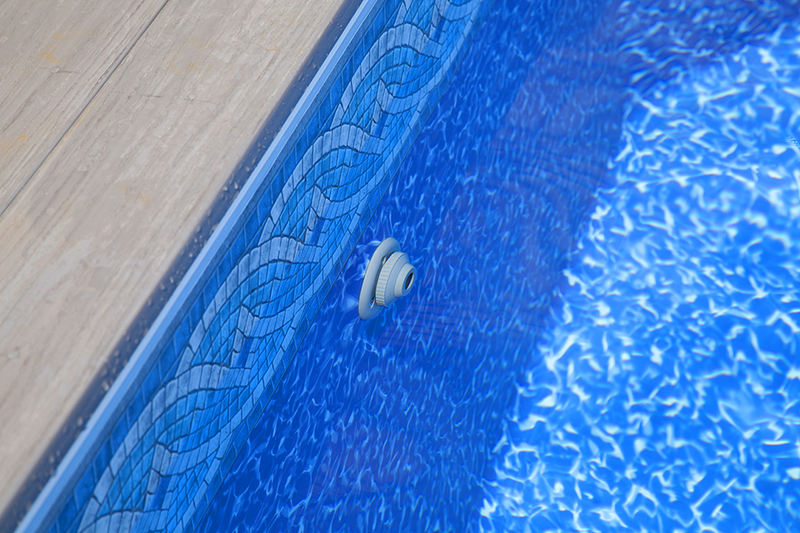 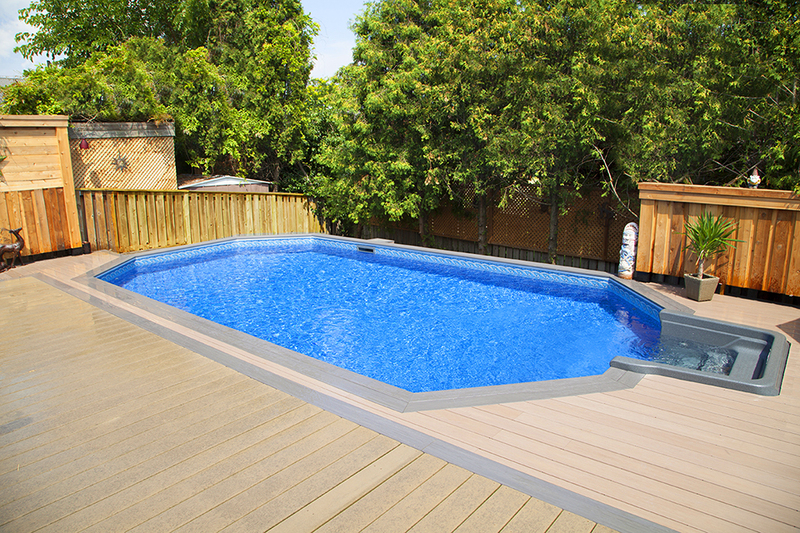 This onground or semi-inground swimming pool escape is surrounded by crisp resin decking and framed by a contrast deck plank colour. 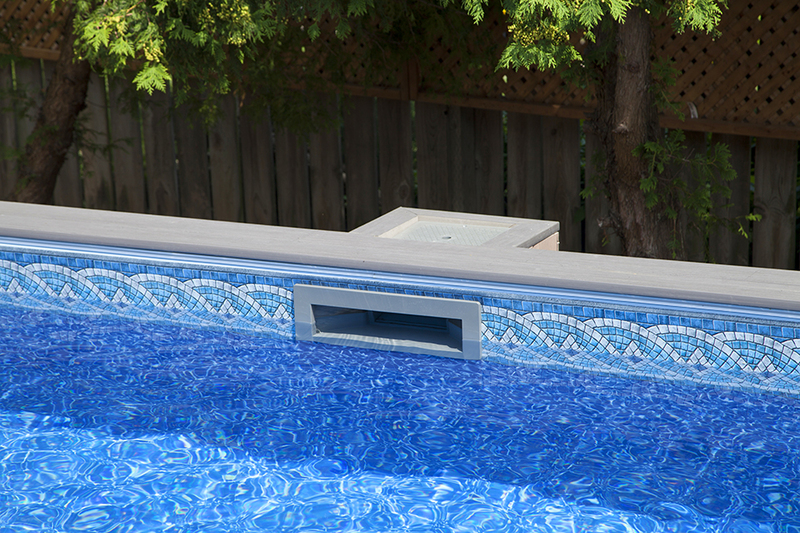 The Grey thermoplastic stair and Grey Faceplate accents compliment the silver bordered liner. 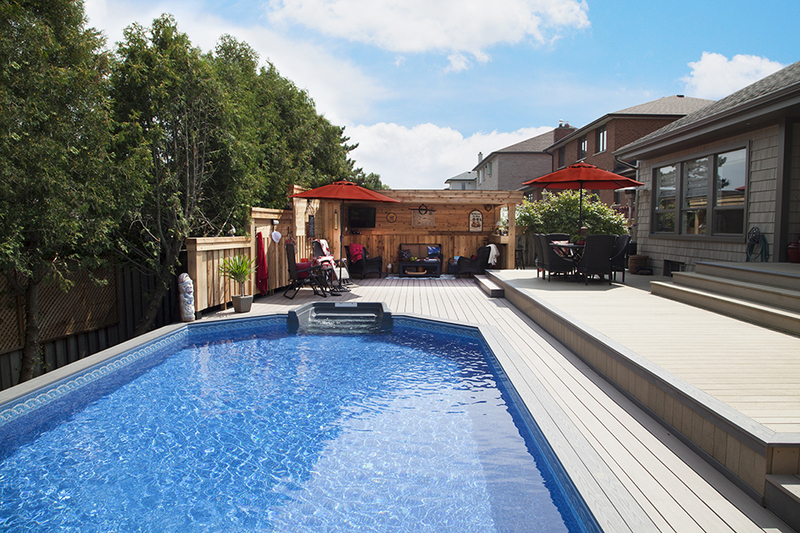 The Martin’s designed the space to be perfect for entertaining with a nearby Cabana to provide some shade and lots of room to entertain their friends and family. 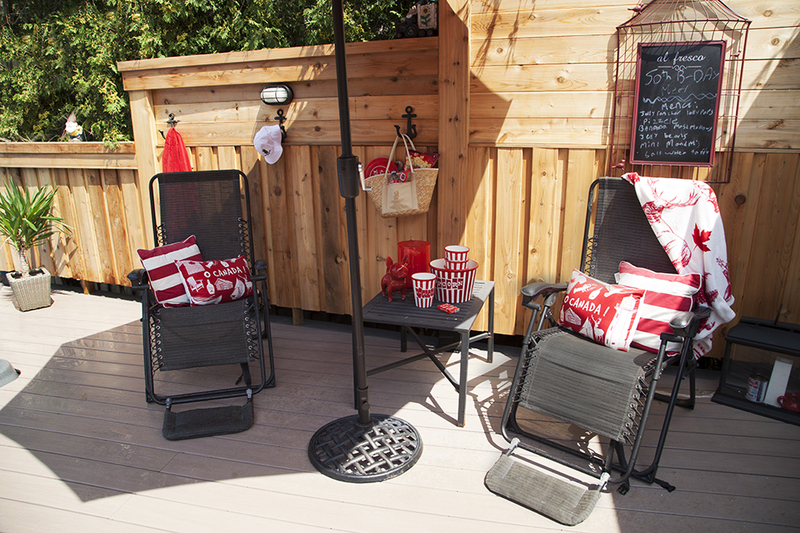 Built in pool towel racks, fun chalkboard signs and the red accents give this backyard all the perks to enjoy a perfect season outdoors. 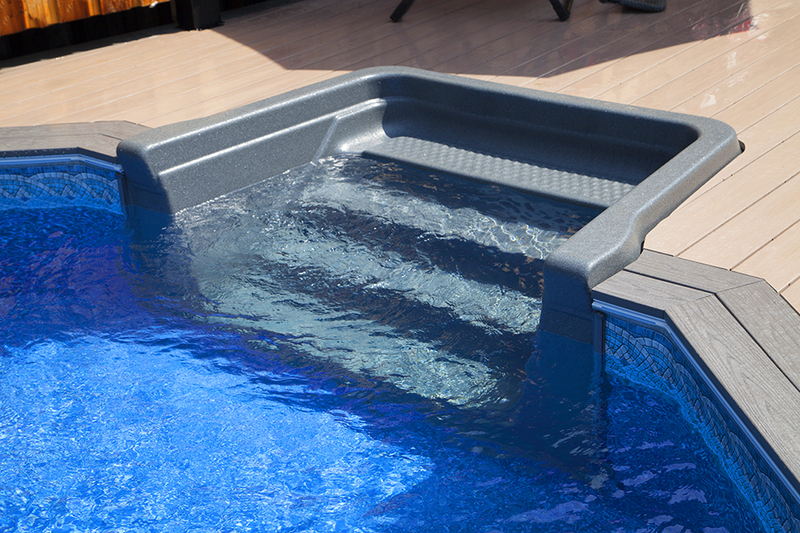 To complete this outside resort, a hot tub is close by the back door so that even when its colder nights, there is the perfect spot to escape for a little Rest and Relaxation.